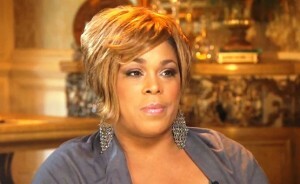 *CNN’s Dr. Sanjay Gupta recently sat down with TLC’s Tionne “T-Boz” Watkins to discuss her struggle with sickle cell anemia and her recent brain tumor. Since childhood, she suffered from sickle cell anemia and was told that she wouldn’t live past 30. Told that she wouldn’t be able to have children and would be disabled, Watkins, 39, has a 9-year-old daughter. She had seemingly beaten the odds. But three years ago, her doctor delivered news she never imagined: she was told she had a brain tumor. The tumor was benign, but because of her sickle cell disease, surgery was risky. Watkins could lose everything a performer needs: hearing, balance, facial movement, and speech. All the best to T-Boz!!!!! Looking forward to the solo joint. Hurry up!